It is becomingly increasingly suspected that the Government is set to make significant changes to how pensions are taxed. Any concrete details, however, are likely to remain under wraps until this year’s Autumn Statement. Speaking to Morningstar, Julian Webb emphasised the point that this is not out of the blue. In fact, the Government are responding to the findings of the pensions consultation announced at the last budget. The biggest idea that has been floated is that the point of taxation for pensions will change. The current system sees withdrawals being taxed, and it is theorised that in future, it will be contributions that will be taxed. This would make pensions resemble ISAs. Currently, pension investments are tax-free ‘on the way in’ to pensions and are then taxed ‘on the way out’, i.e., when you draw money from your pension. Further, since spring’s Pensions Freedom Day, you can now withdraw 25% of your savings to be tax free, but after that, normal income tax applies. This is meant to incentivise savings since all of the money you invest or save reaches your pension pot. As Simon Lambert points out, one benefit of this system is that, since saving and investment can be subject to compound forces, the same pension investment untaxed on the way in will give pensioners more to retire on than one untaxed on the way out. Any changes to this system are therefore feared to take money out of savers hands. For example, a pension investment of £10,000 that sees 5% compound interest over 40 years could be worth £70,400 when the time to retire comes. If this is withdrawn in one lump sum, this would then be taxed on the way out as part of our annual income. In this example, the option to take 25% tax free is not taken. So £31,785 would be taxed at 20%, meaning you lose £6,357 to the taxman, in addition to the rest of the sum, £38,615, which would be taxed at 40%, resulting in losing a further £15,446 paid in tax. You would then be left with £48,597. Now compare this to a system which taxes on the way in. One idea currently floated is that sums paid in would be taxed at the UK average of 33%. This means your 10,000 investment would become £6,667. Over 40 years at the same interest rate, this would become £46,936: a whole 3.4% less than under the current system. The proposed system, demonstrated in the example above, has already received criticism. When we spoke to financial expert Annie Shaw, she noted that a 33% rate of tax would be a huge increase in tax rate for basic rate payers currently paying the 20% rate. Conversely, she also pointed out that, if we are to judge the success of the current system by how much it incentivises savings, the necessity of automatic enrolment has already heralded the failure of the Government to incentivise people to save enough for their pensions. Simon Lambert viewed the option reviewed above as the most radical of all options on the table, but it remains to be seen what the government will decide in the wake of the consultation. It is worth noting that a PwC poll found that only 27% of people asked support the current system, suggesting that the right change would not necessarily see much backlash from savers. 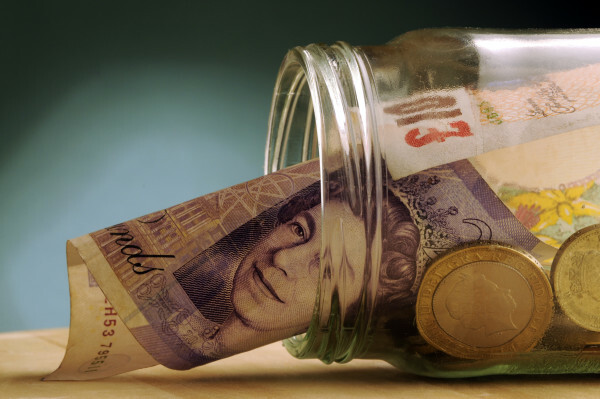 There have been drastic changes to pensions over the last 12 months. To talk to a specialist financial planner today, email enquiries@gpfm.co.uk, or call 01992 500 261 now.